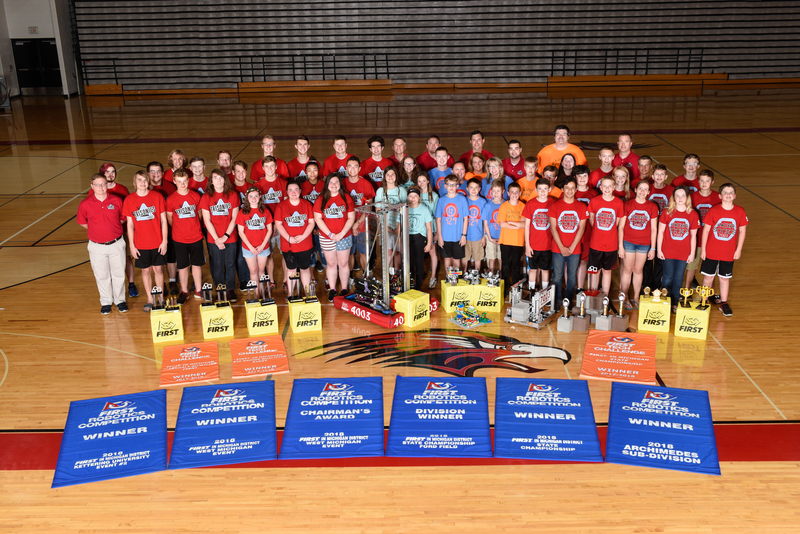 llendale Robotics is a program based out of Allendale, MI that provides quality FIRST Robotics programs to students of all ages. We offer teams for students from Allendale, Jenison, Coopersville and other surrounding areas. Our programs teach students design, programming and building, along with other valuable skills such as public speaking and marketing. We offer programs for students in grades 1-12 and these programs simulate real life situations. Our team is mentored by volunteers, many of whom are professionals in the fields that our team prepares our students for. If you're looking for a fun after school activity, FIRST Robotics could be for you!